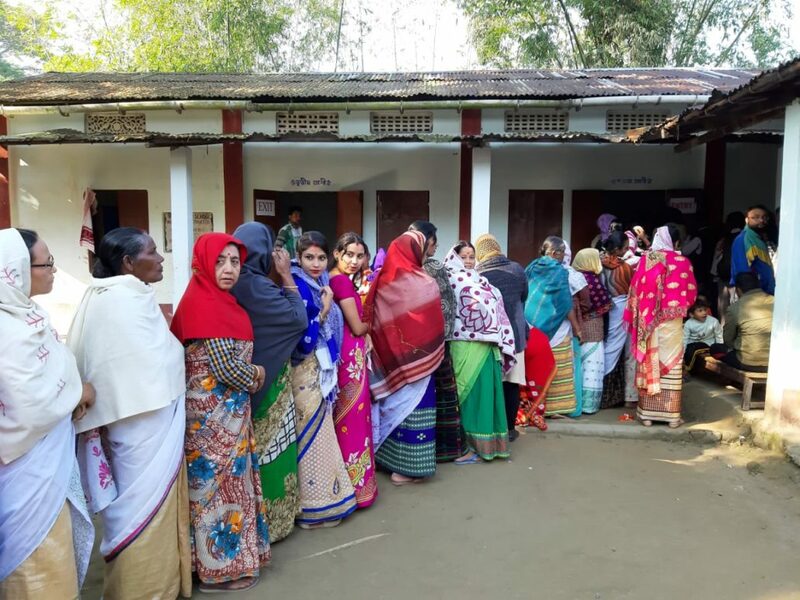 Polling began at 7 am in Eastern Assam’s Sivasagar election district along with the rest of 15 districts in the State for the panchayat polls, 2018 amid full preparedness. 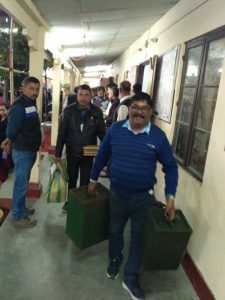 Various election cells have been constituted for smooth conduct of the panchayat election in the district. And with this, the election district is all set to conduct free, fair and successful election in 13 Zila Parishads, four Anchalik Panchayats, 62 Gaon Panchayats, and 620 wards. The total number of polling stations is 638, out of which 461 are identified as comparatively safe, 174 are sensitive and three are very sensitive. Earlier, training for the polling, presiding, sector and zonal officers have already conducted in two phases (first phase from 20 to 21 November, 2018 and second phase on November 28 and 29, 2018). A total of 3,44,345, including 1,75,173 male and 1,69,172 female voters will exercise their franchise on Wednesday’s polling. A total of 2027 candidates will be contesting in the ensuing election. 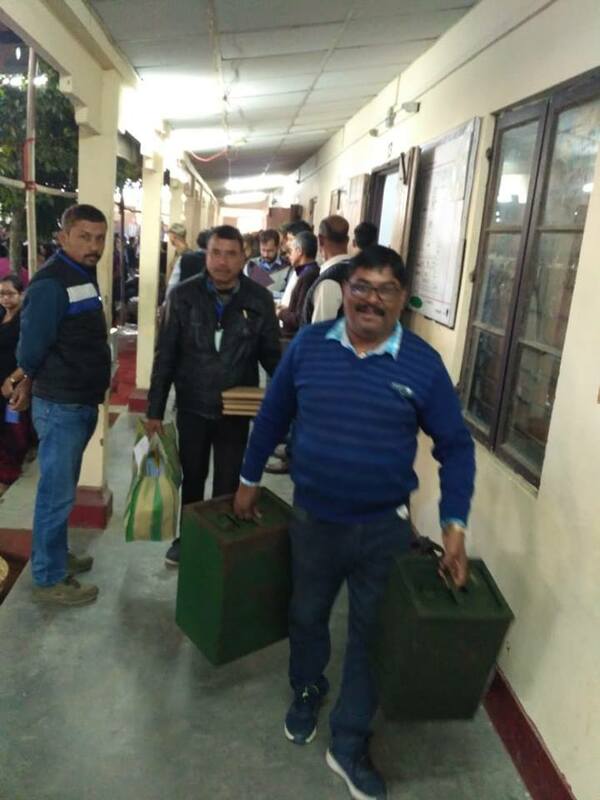 Among them there are 38 candidates for the posts of Zila Parishad members; 173 for Anchalik Panchayat members; 190 for Gaon Panchayat presidents and 1696 for Gaon Panchayat members. 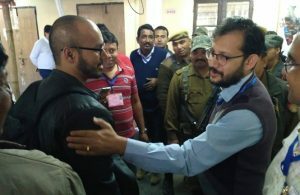 An election Control Room has already made operational by the district administration with the following helpline numbers: 03772-223397 (landline) and 84718-64355 (mobile). A Police control room has already been made operational with the following numbers: 03772-222801 (landline) , 94357-29014 and 94355-00597 (mobile).